A Group PIN is used to check a selected group of students in or out of a Class. It is often used for teacher's to take attendance in the Class, to move a group of students from class to class, or to check in a group of students that arrives all at one time. 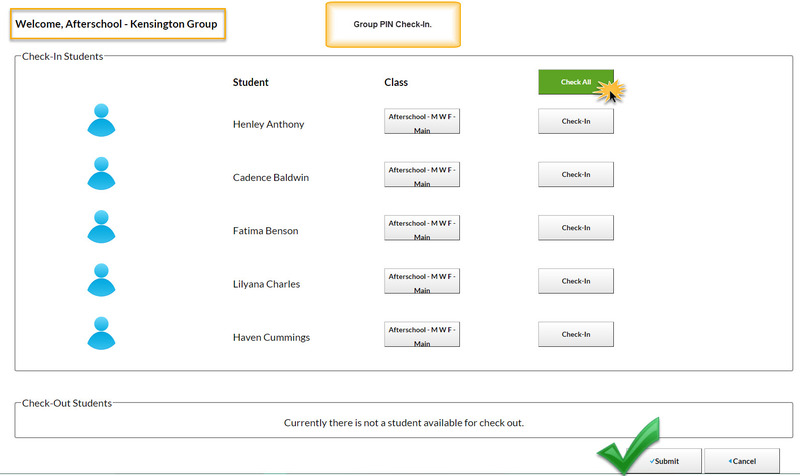 See PINs and Student Pickups for more on creating Group PINs and managing their student pickups. Enter the Group PIN code. Change Class Name if needed. 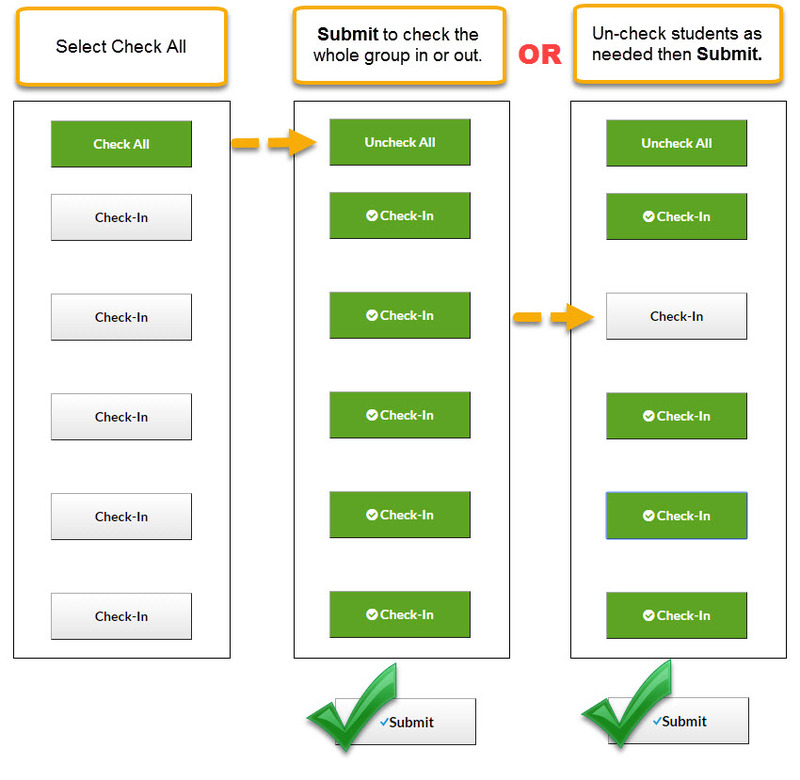 Use Check All to quickly mark all students for check-in or out. Uncheck specific students as needed.